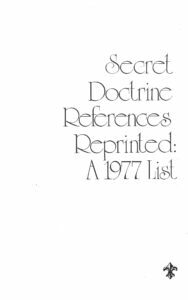 Two-hundred titles out of the 750 hard cover books cited in Helena Petrovna Blavatsky's (1831 - 1891) The Secret Doctrine (1888) are reprinted or reset and made available (again) in 1977. The reason for the book list in this little publication should be obvious. 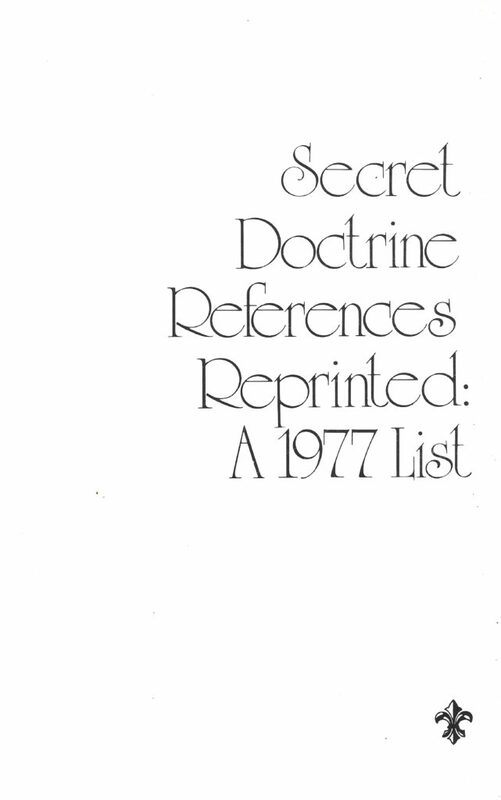 It is not quite an easy way to read The Secret Doctrine! Few have a fit background in the basic fundamentals of languages like Greek, French, Hebrew, and Sanskrit plus some German and Russian. This altogether, plus a basic view of ancient religions, that only can come from reading those works connected with each. This grand view seems fundamental to discern the various terms, pantheons, deities and the rest.